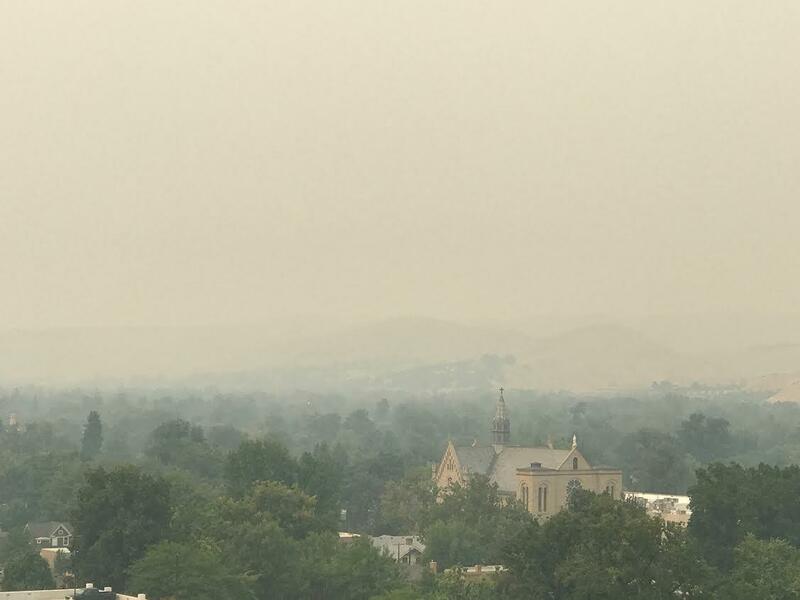 Air quality in Boise to the Treasure Valley ranks from moderate to unhealthy, due to smoke. Sensitive groups should stay inside. If you live in Boise or Salt Lake City, you’ve probably noticed a gray film over the summer sky this week. Smoke from fires as far away as California is blowing into the Mountain West. That means some groups have to be careful because of unhealthy air quality. Chris Smith is with Idaho’s Department of Health and Welfare. He recommends parents keep young kids indoors. “Infants and young children actually suffer more from smoke because they breathe a lot more air for their body size than adults do, plus their airway respiratory systems are still developing,” Smith says. The elderly, people with heart or lung conditions, and pregnant women should also avoid breathing in the smoke. If you don’t have air conditioning, Smith recommends spending time at libraries or movie theaters that do. “If you’re at home, keep your windows and doors closed,” he says. There’s no exact prediction for when the air will clear—that depends on how long wildfires carry on, and when we get strong winds from the east. To check the status of air quality in your community, visit this link. In the last few years, researchers have discovered the earth is literally filled with microbes, those little single-celled critters we sometimes call germs. They’ve even been found living as deep as the earth’s core. And they say these microbes could help us gain access to thousands of years of knowledge. Now scientists at the University of Wyoming want to use those layers of ancient history to help us recover from wildfires as the climate warms up. 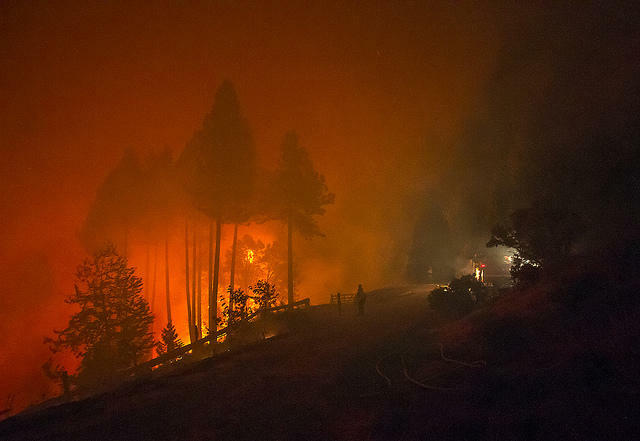 A recent study is helping researchers understand the role of wind in the largest forest fires. A new report from The PEW Charitable Trusts said most states aren’t tracking how much they spend overall to deal with natural disasters. It’s year two in a major project to catalog the microbes of Wyoming, and now University of Wyoming scientists have a robot to help them do the job. 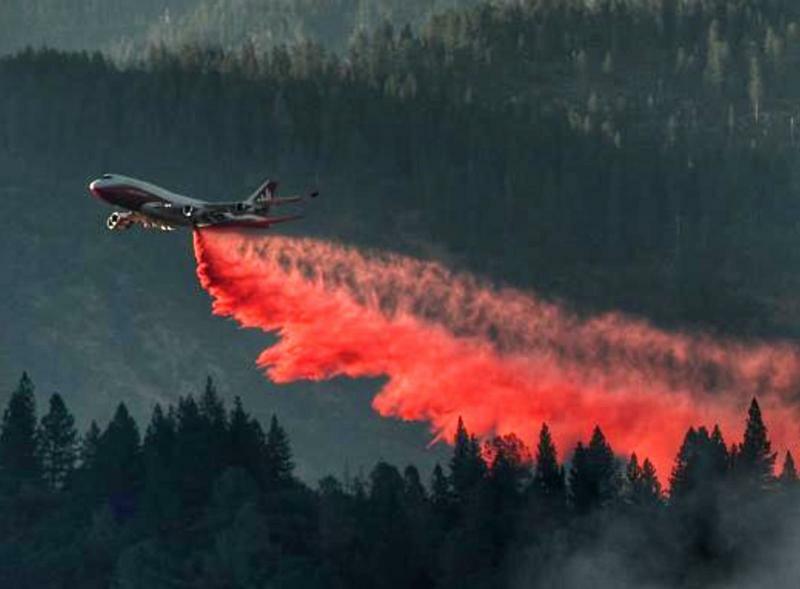 One of the world’s biggest firefighting aircraft is based in Colorado Springs. But it's fighting fires in California right now, rather than in the Mountain West.